Home is a place where you should be able to relax and feel comfortable. 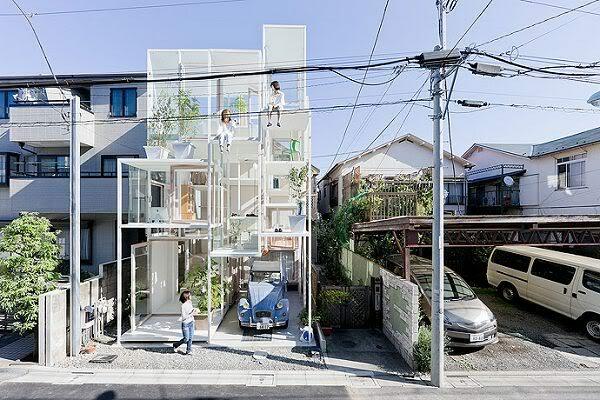 Unless you live in one of the Reversible Destiny Lofts in Mitaka, Japan, where the architecture is designed to constantly challenge your brain and keep you on your toes. The concrete floors feature random bumps. Random ladders, poles and balconies are situated everywhere. Nothing is shaped as it should be, including the rooms themselves. 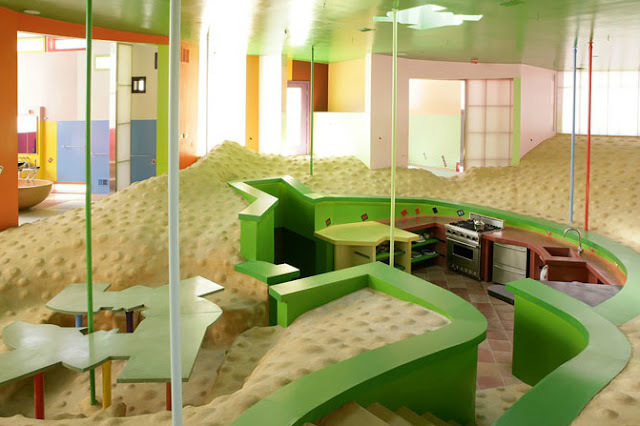 The goal of the architects was to design a living space that will keep its inhabitants’ bodies and minds stimulated so that they can live longer. Sort of like an architectural version of Sudoku. I get what the designers were going for, I really do … but I dunno. I think I’d rather be able to shuffle to the bathroom in the middle of the night without tripping over an artfully placed mogul. 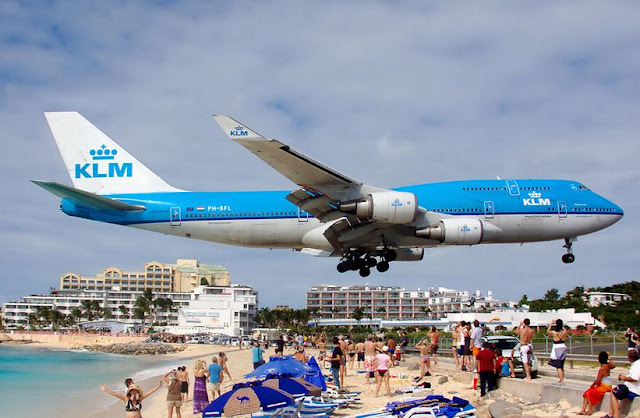 If plane spotting is your thing, then you'll want to book a trip to St. Maarten in the Caribbean, where planes get so close to Maho Beach while landing that beachgoers can practically touch them. As it is, the force from the plane is so strong that sand often goes flying, and sometimes people are actually blown off their feet! Why people would be trying to feel the underside of a descending jet instead of running screaming from it is beyond me ... oh, who am I kidding? If I were there, I'd be trying to cop a feel, too. Never dined in a treepod before? Well, then you’ve never lived, my friend. 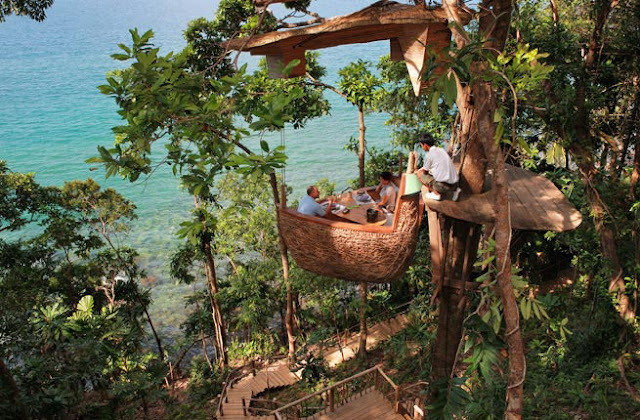 At the Soneva Kiri Resort in Koh Kood, Thailand, visitors can opt to take their meal in a wooden pod that’s hoisted into a leafy rainforest canopy and served by a waiter via zipline. Even glasses of wine can be delivered to you by this wonderful, flying man. 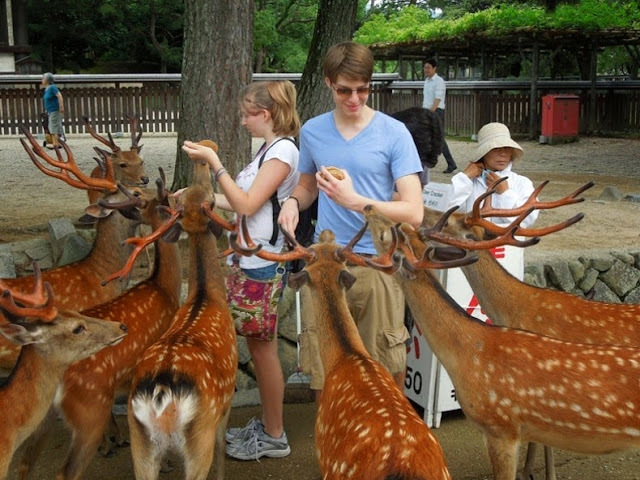 I am currently saving every penny to be able to blow it all on this experience. 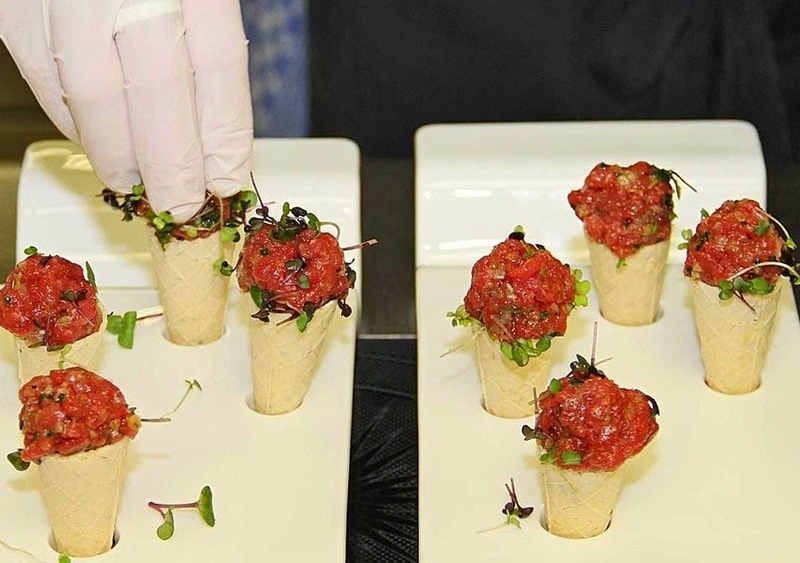 After all, it’s not every day that you get to eat like a very rich monkey! What's the best part of the playground - the swings? Nah. The monkey bars? Boring. The see-saw? That's just an accident waiting to happen. Here's the correct answer: the slide! 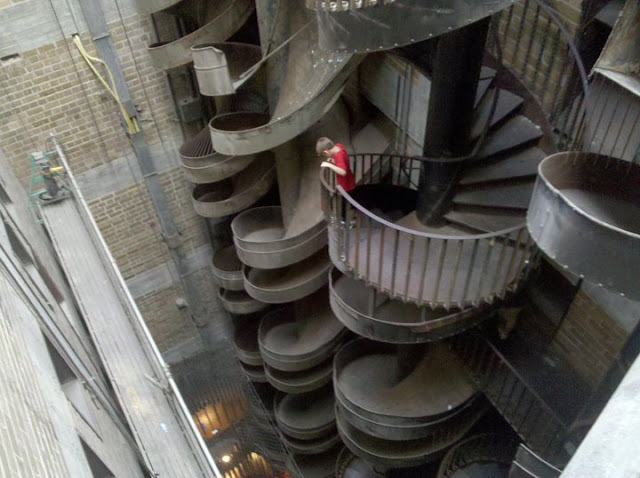 And here's where you can find the most awesome slide in the whole world: City Museum in St. Louis, Missouri, which features a 10-story slide that deposits you in a room called "the Fungeon." Actually, all of City Museum is pretty cool, created by an artist who wanted to build a museum-playground that would appeal to kids and adults alike. 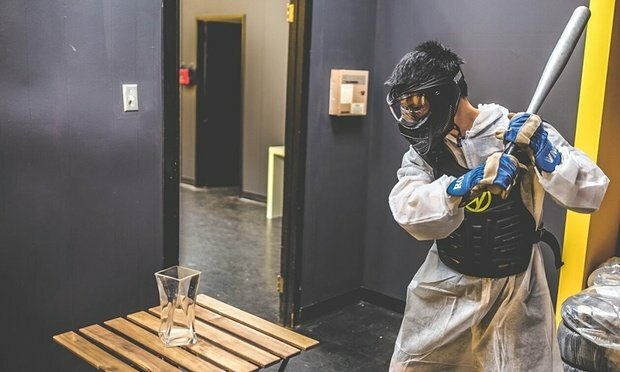 Among other attractions, there's a giant indoor tree house and a human-size hamster wheel, as well as a display of the world's largest pair of underwear. And everything's made from reclaimed materials. But seriously? They had me at "giant slide." I bring news. Atlantis is real, my friends! And it's located in a lake in China. 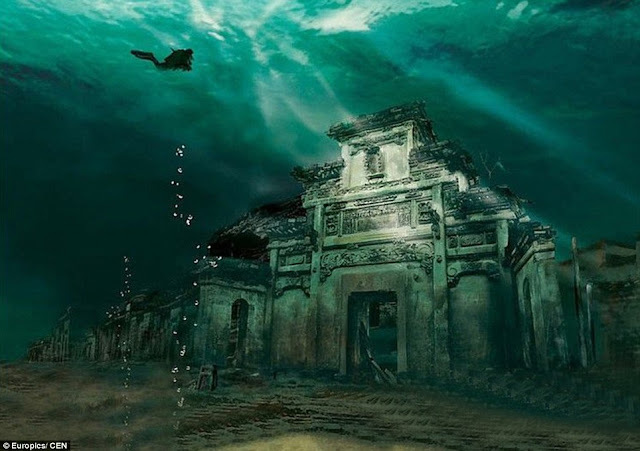 Also, it's not actually Atlantis, but an ancient Chinese city called Shicheng that was purposely flooded with water in the late 1950s to make way for a dam. The water-preserved city was largely forgotten about until 2001, which was when the Chinese government decided to dive down and explore this historical and architectural goldmine. What they found were beautiful stone buildings, forgotten city streets, an imposing wall that encircled the city, and Chinese mermaids. Well, just kidding on that last one. But wouldn't that be the coolest? If you find yourself in Missouri with a hankering for carbs, the place to go is Lambert's Café, where they apparently sell the biggest, most buttery rolls on this side of the Ozarks. The only catch? You'll need to know how to catch -- the only way to get your hands on the dinner rolls is to field one from the waiters, who chuck them at you from across the room. 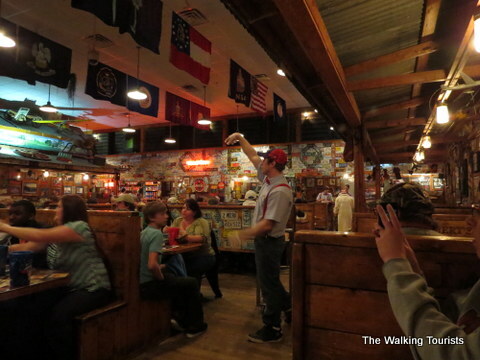 Visitors come from afar just to catch the rolls at Lambert's, at the risk of getting bonked in the head by a stray piece of bread. But hey, I could think of worse, less delicious things to be hit in the head with. Here's a church that won't stay put - not exactly a spiritually comforting notion, but definitely an awesome one architecturally. The See-Through Church of Limbourg, Belgium, is an art installation that was designed to look completely solid from certain angles and like it's dissolving into thin air from other angles. 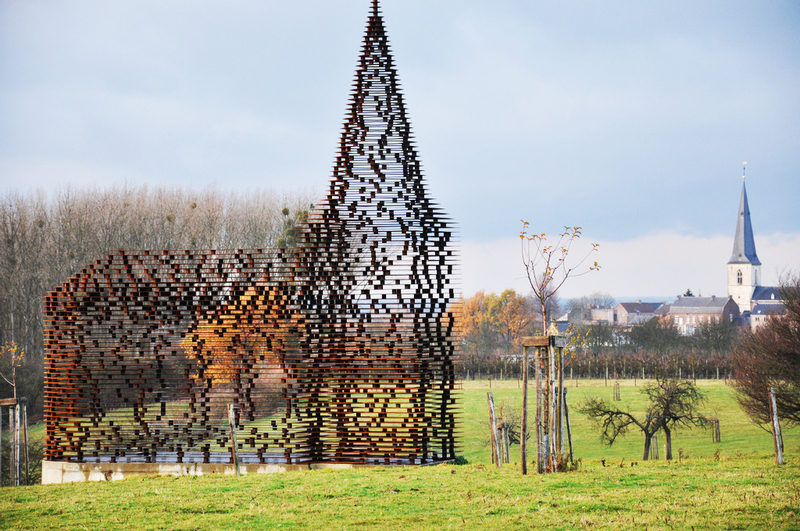 The piece is called "Reading Between the Lines." So what were the artists trying to say? That art is impermanent? 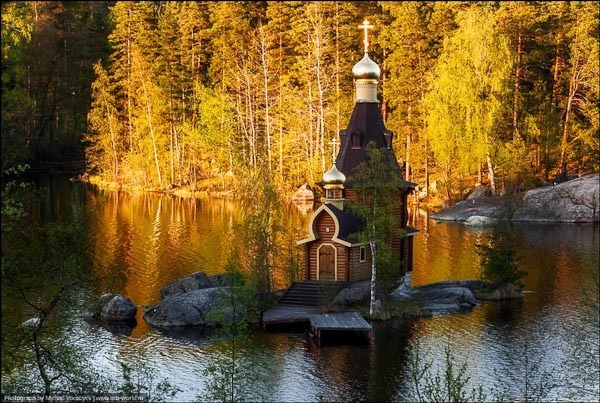 That churches are impermanent? That life is impermanent? Oh, that's deep. Who says that botanical gardens need to be green? 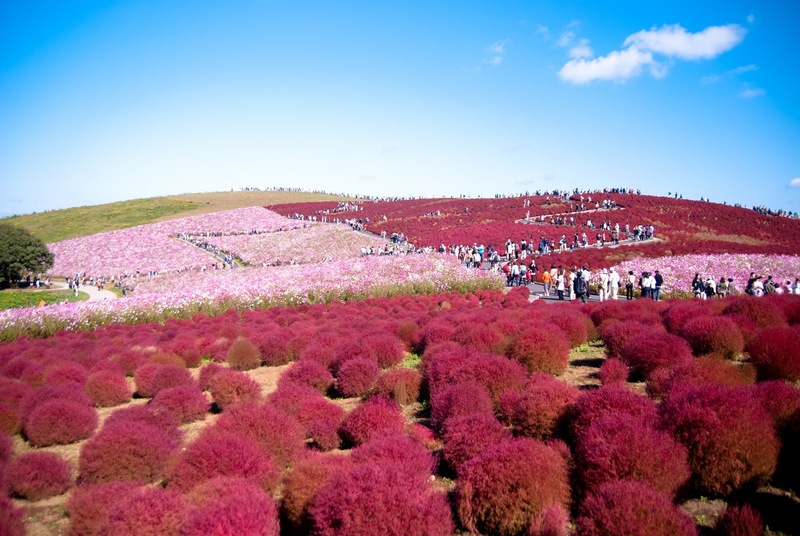 At Hitachi Seaside Park, in the Ibaraki prefecture of Japan, the dominant colors of the flowers and shrubs might be yellow, purple, blue, pink or crimson, depending on the season. The explosive colors are almost otherworldly, making ordinary old green gardens look passé. I am, of course, jumping on the next available plane to Japan to see this natural wonder for myself and to frolic in all the color. Because I'm sure the urge to frolic (and to cavort and to gambol) will be very strong here. Peru is well known for its crazy elevations and gorgeous views. But did you know that you can experience these two things from a transparent capsule dangling off the side of a cliff? Well, of course you can. 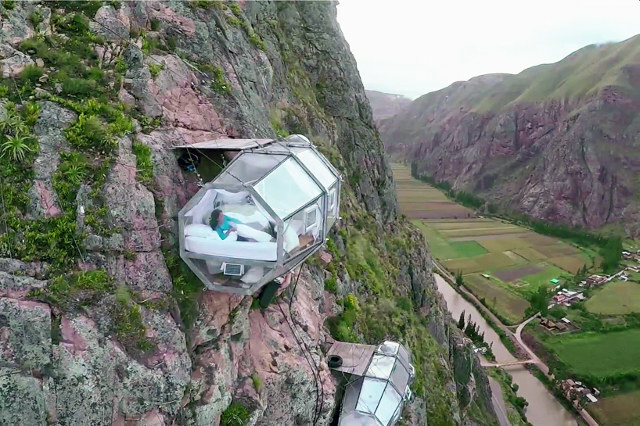 Nature Viva's Skylodge is a group of three pods suspended 1,200 feet up on a cliff face in Peru's Sacred Valley. 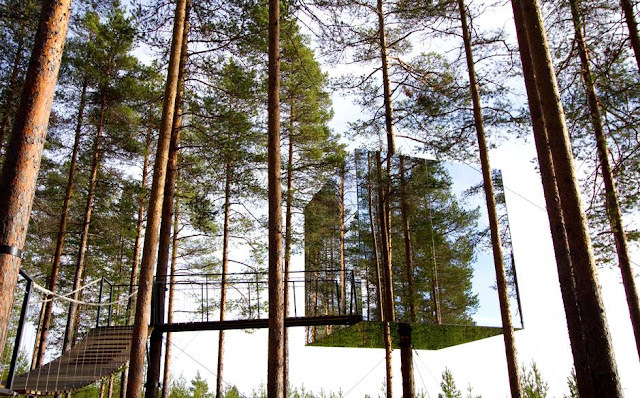 You can choose one of three fun ways to access your room: by climbing an insanely tall ladder, embarking on a treacherous hike, or flying across a series of ziplines. The hotel's website mentions that "safety is ensured by having the exit portal located in the upper part of the craft." So there you have it - should the cables holding up your capsule snap, an escape hatch will somehow prevent you from dying a distinctly terrifying death. Or, you could just stay at the Days Inn in town. You never know where you might come across a dinosaur. 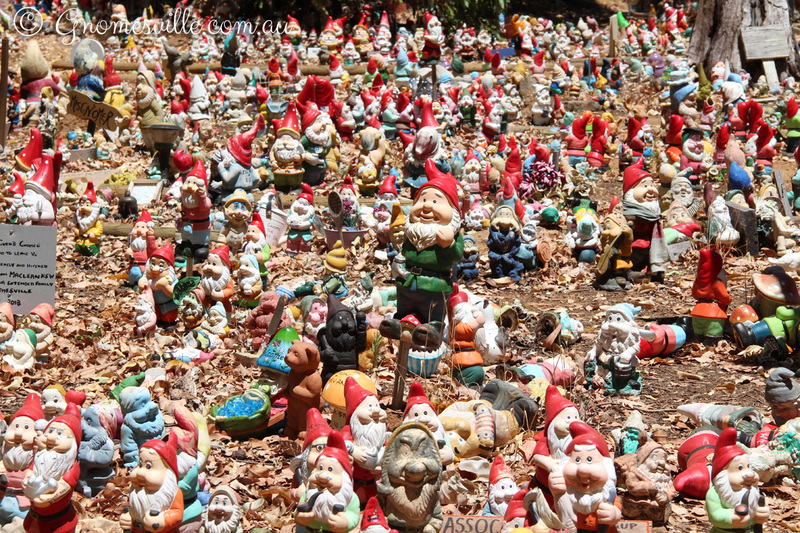 For example, you probably didn't think they'd pop up in southeastern Connecticut, and yet that's exactly where you'll find a whole bunch of them, in all their life-size glory. 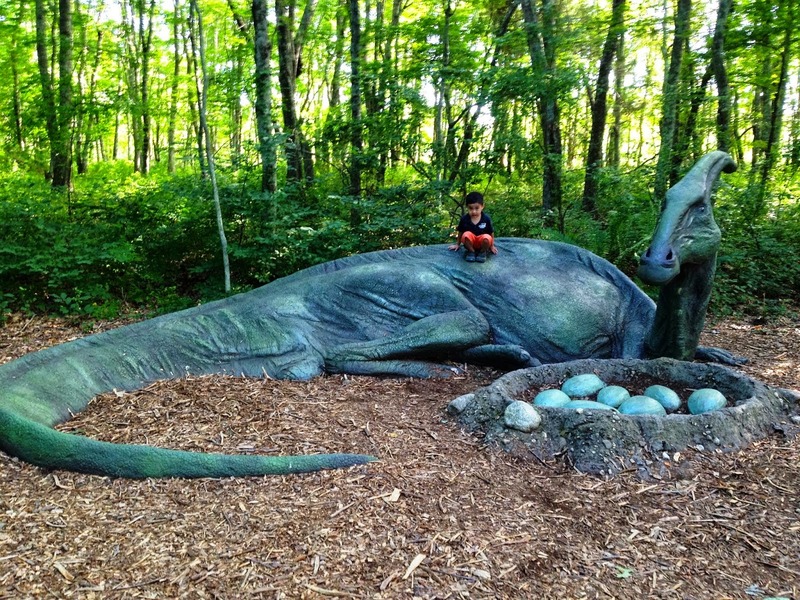 The Dinosaur Place in Montville features 40 realistic-looking dinosaurs along a shady trail that runs through a park. All of the dinosaurs stand still in their designated places, except for one, the animatronic Dilophosaurus that's tucked away in a cave. There's a sign outside the cave that warns visitors that this attraction may be frightening for small children, and after going in to view it myself, my conclusion is that they need to make that sign larger! My blood ran cold at the sound of its screeching, and when it spat "venom" at me, I almost fell over in terror. The thing is positively evil. So maybe stay away from the Dilophosaurus if you've got a heart condition. 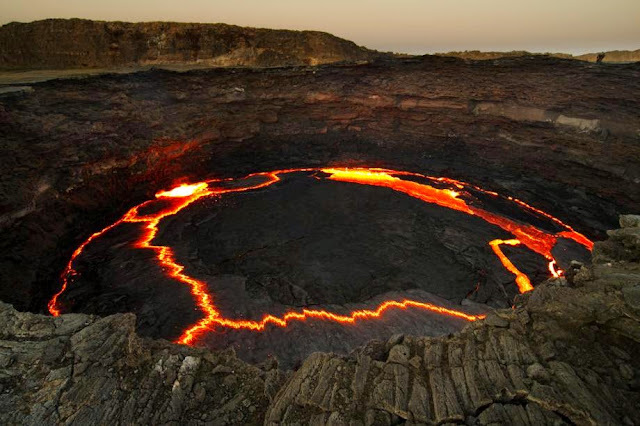 So you say you hiked a volcano on your vacation to Hawaii? Big deal. In the Afar region of Ethiopia there's a continuously spewing volcano called Erta Ale that's got lava lakes. Yes, we're talking LAKES filled with LAVA. And there are two of them. 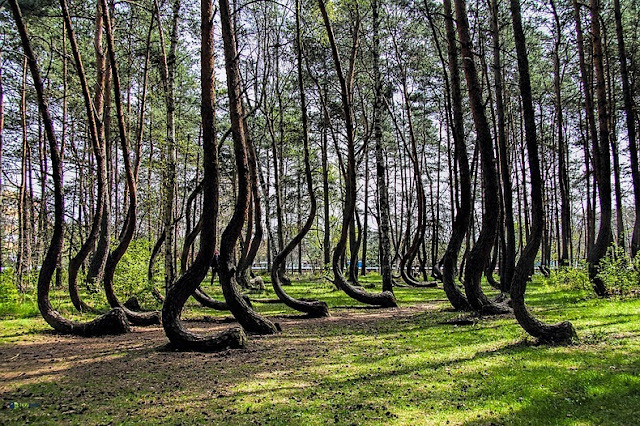 Mother Nature doesn't get more cray-cray than that. At one time the volcano was only visible via helicopter, but after growing demand from those with a death wish (aka adventure tourists) for a closer look, it is now possible to hike Erta Ale and get within 4 miles of the lava lakes. Just don't expect an ice cream stand near this attraction. 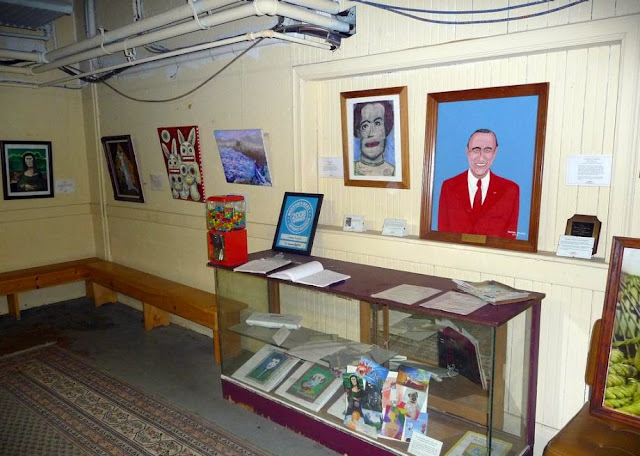 Art can be very subjective, but at the Museum of Bad Art (MoBA) in Boston, the curators believe they've discovered pieces that can universally be labeled as "bad." Exhibit A: "Sunday on the Pot with George," Artist Unknown, a pointillist painting that depicts a middle-aged man sitting regally on a toilet in his tighty whities. But even mediocre masterpieces can be judged using rigorous standards, and nine out of 10 submitted pieces are rejected for displaying too much artistic competence. What the museum is looking for are works that feature "wonky perspective, confusing symbolism and lurid color combinations." In other words, that painting you did while sloshed during Paint Nite last week. There’s some pretty impressive history here as well. Built by Maurya rulers in the 600s AD, the fort spans 700 acres and was the site of three major battles. 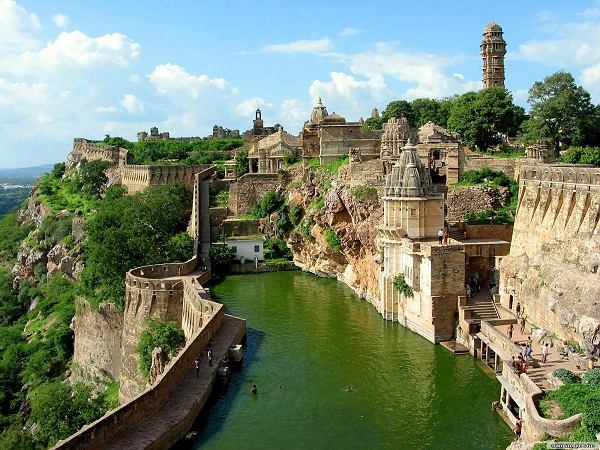 It was occupied by the Rajputs, who protected Chittorgarh fiercely and never surrendered it to enemy invaders. I don’t blame them. If I were living in such a beautiful place, I’d fight to the death before giving it up, too. Or so I’d like to think. Everyone's got the Northern Lights on their bucket list. But while I'd love to catch a glimpse of Aurora borealis, I'd hate to catch a cold while waiting for the light show. I know. I'm a wimp. But hey, who doesn't like being warm and toasty? The good folks at Kakslauttanen Arctic Resort in Lapland, Finland, totally get that. They've built an entire village of "glass igloos," or small, private hotel rooms with a glass ceiling so that you can gaze up at the icy skies while tucked into your bed, chugging hot cocoa. 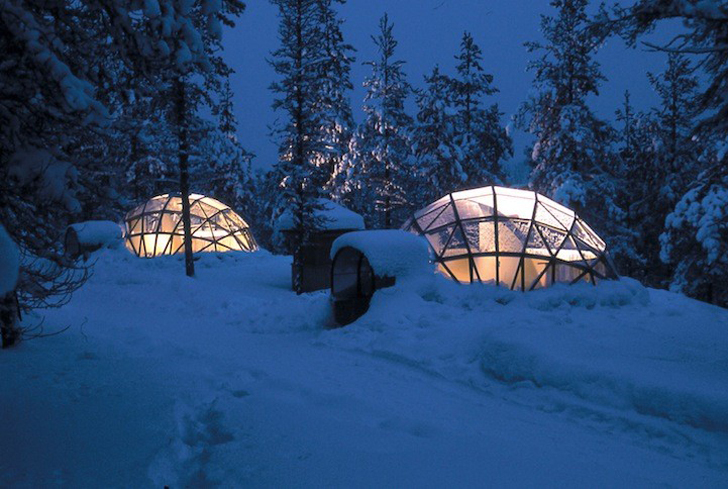 For you masochists, there are also some traditional igloos at the resort that are made of real ice. But book those at your own discomfort. 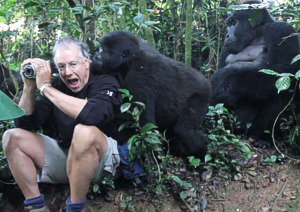 If you find yourself in Rwanda with nothing to do and $750 to spare, maybe you should go on a gorilla trekking safari. You'll spend a few hours with a group of other primate enthusiasts, hiking through the rainforest and looking out for silverback gorillas in the wild. Sounds right up your alley? Stalker. But I can't say I blame you - I'd go on a gorilla trek in a heartbeat. The only problem might be that gorilla troops tend to move around, and it may take your group several hours to find one. 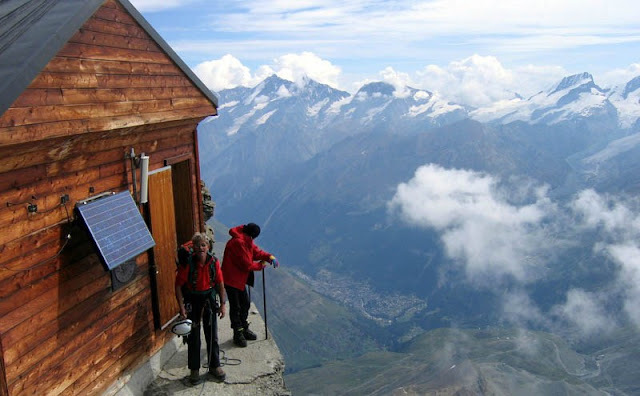 The trek may also involve hiking up steep slopes. So do your push-ups before you go. And maybe leave the bananas at home. Beaches are meant for relaxing, but if you've ever fought the early-morning lounge chair-claiming wars at a resort, you know that sometimes they're anything but. 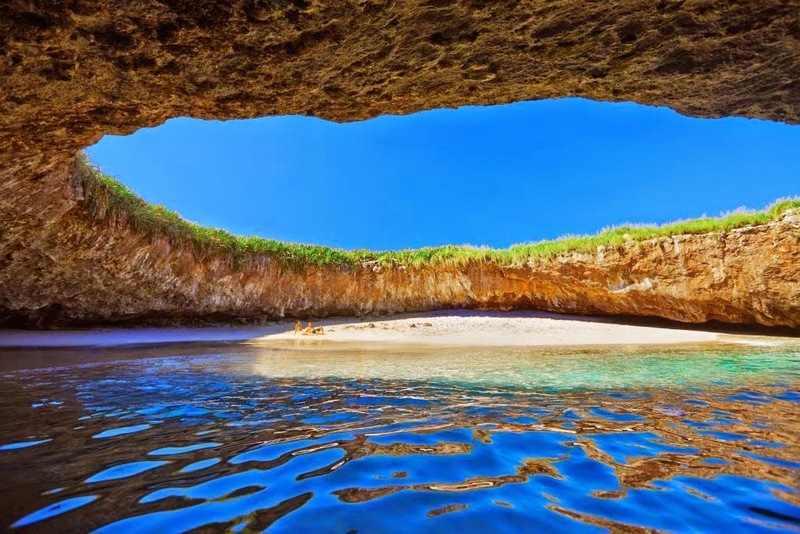 That's why for your next vacation you need to set up your umbrella at a secret beach, like the Playa del Amor at the Marieta Islands in Mexico. Playa del Amor is a beach with clear, blue waters and pristine sand that just happens to be located in a huge hole in the ground. According to locals, the gaping hole is the result of government bombing tests from the early 1900s, and nature has since taken over and turned it into a tropical paradise, accessible only by a water tunnel. So there you have it - a beach that only you and I know about. Just don't go opening your big mouth and we'll keep it that way. I don't know about you, but I prefer my bugs cute and glow-in-the-dark. Not a fan of earthworms, for example, but glow worms I love. Which is why I'm remortgaging my house to pay for coach tickets on a 24-hour flight for the whole family to Waikato, New Zealand, where thousands of an indigenous species of glow worm hang out on the ceiling of Waitomo cave, doing their glowing thing. Full disclosure, though: Glow worms aren't really worms at all, but a type of fly larvae. And it turns out that the luminescence comes from their excretory organs. You can see why the New Zealand tourism board went with "glow worms" instead. Still, the revolting truth won't be deterring me from viewing this natural wonder, and if you consider yourself an animal lover, you'd be wise to do the same. If you've ever viewed the works of art at a museum and thought to yourself, "They're nice and all, but these paintings would be better if I were in them," then (a) you're crazy narcissistic, and (b) I know exactly where you need to go. The Trickeye Museum in Seoul, Korea, is full of trompe l'oeil artwork that you can insert yourself into. Clean up Van Gogh's "Bedroom." Pull down the pants on the guy in Munch's "The Scream." Give the Mona Lisa a sip of water through those pursed lips. It's ridiculous, cheesy fun, and it might even inspire you to view artwork differently. Okay, it won't, but you'll at least get a laugh out of this place, and a few good selfies. I know. I'm signing up for an annual membership, too. If you've ever wondered what Hello Kitty tastes like, you can find out at the world's first Hello Kitty dim sum restaurant in Hong Kong. 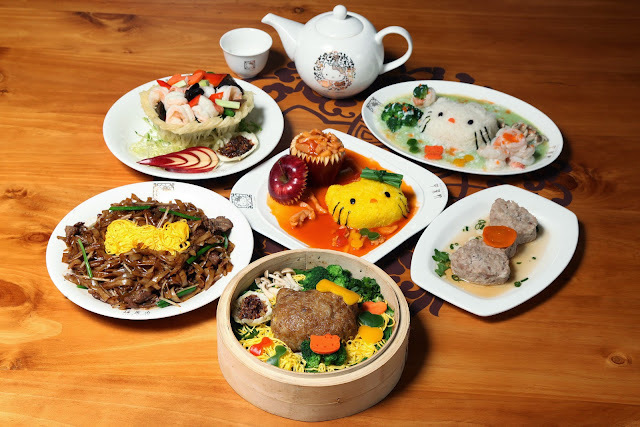 The undoubtedly adorable eatery offers almost 40 dishes based on the famous cat, including shrimp buns that resemble her face and noodles fashioned into the shape of her bow. 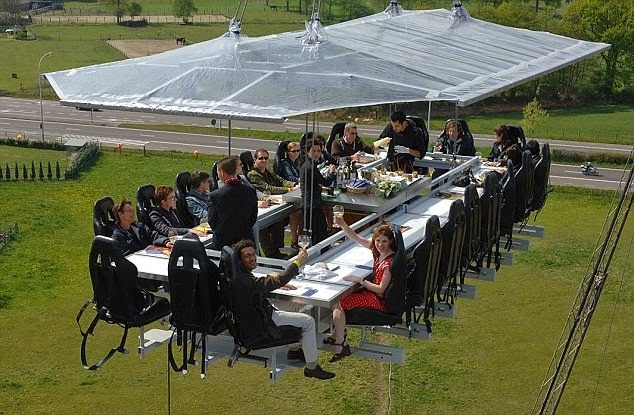 If that's not fine dining, I don't know what is. I love how Hello Kitty is slowly but surely taking over the world. First it was just clothes and dolls, then it graduated to appliances and housewares, and now it's restaurants and even hotels. I predict that she'll be the first cat president by 2024. You heard it here first. 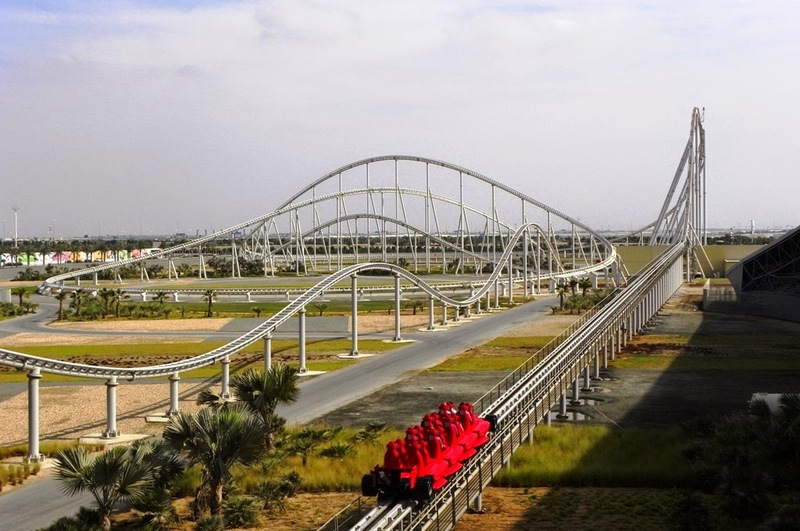 I don't know about you, but I'm packing my flame-retardant track suit and booking a trip to Abu Dhabi right now. Seeing as how NASCAR has recently rejected my application for the fourth time, this will have to do. The last time I saw a waterfall in person, I thought to myself, "This is beautiful. But why is there only one of them? I need to see more waterfalls. Preferably clustered close together." 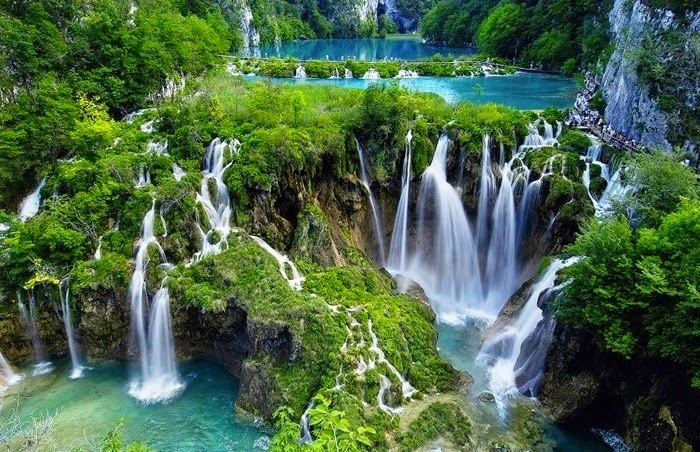 Okay, I didn't really think that, but now that I've seen images of Plitvice Lakes in Croatia, that's what I'll be thinking. 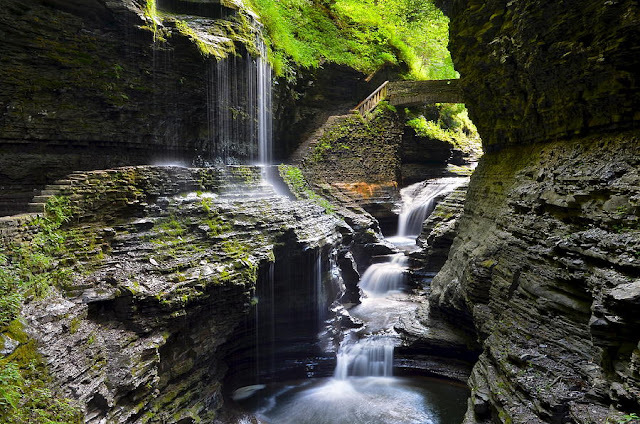 Because what's more beautiful than one waterfall? Well, how about A DOZEN WATERFALLS. The waterfalls flow into 16 gorgeous lakes found in Plitvice Lakes National Park. 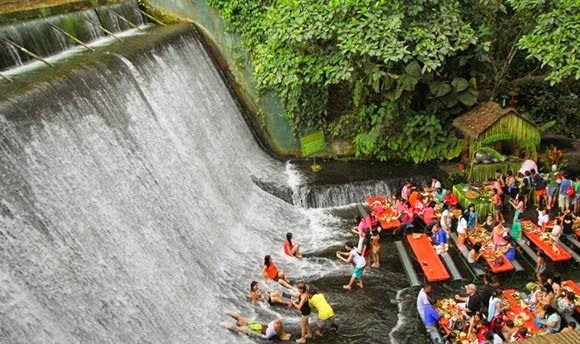 And if the sheer quantity of waterfalls isn't enough, get this: The water is known for changing colors, from azure to green to grey, depending on the organisms in the water and the angle of the sunlight. This place has totally ruined the way I look at things. Now instead of enjoying and being satisfied with watching the sunrise, I think, "Wouldn't it be better to watch A DOZEN suns rising?" So you know how when you see broken glass at the beach your first instinct is to jump back 10 feet and rant about what the world is coming to? 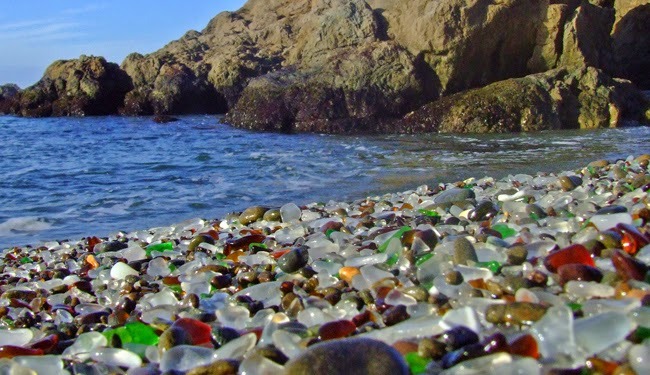 Well, a different set of rules applies at Glass Beach in MacKerricher State Park near Fort Bragg, California, where the "sand" is largely comprised of broken glass. Visitors come by the droves every year to stroll on the shiny and colorful beach, the broken shards now harmless, polished sea glass. Once known as "The Dumps," the area was a dumping ground for household garbage in the early 1900s. Eventually the location was closed and efforts were made to clean up the mess. The ocean did its part as well, pounding waves on top of the garbage and refining the shards of broken glass into small, smooth pieces that now cover the entire beach. Collecting the pieces of glass are prohibited, but visitors do it anyway and quantities are diminishing. In fact, there's now a movement to dump new piles of broken glass onto the beach. I'm not sure environmentalists would approve, but it does look awful pretty. 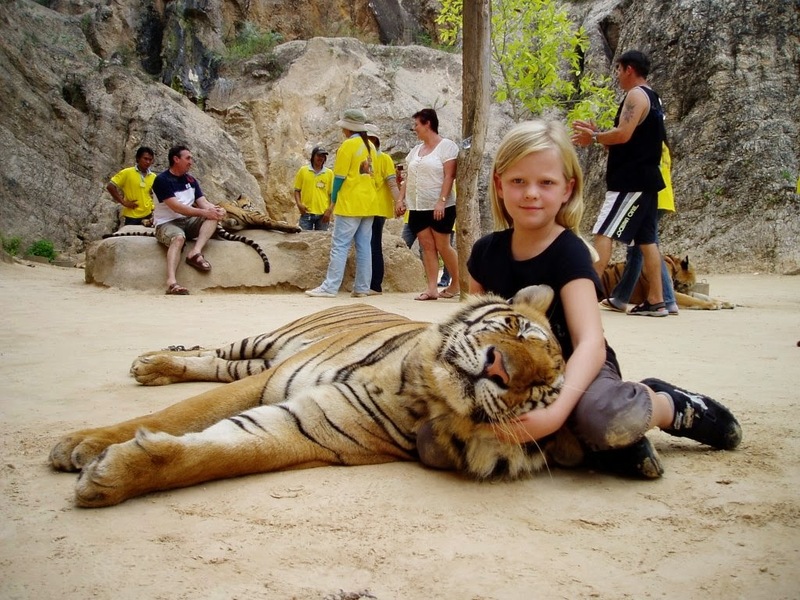 If you're a cat lover looking for a quiet island getaway for your next vacation, have I got the place for you. 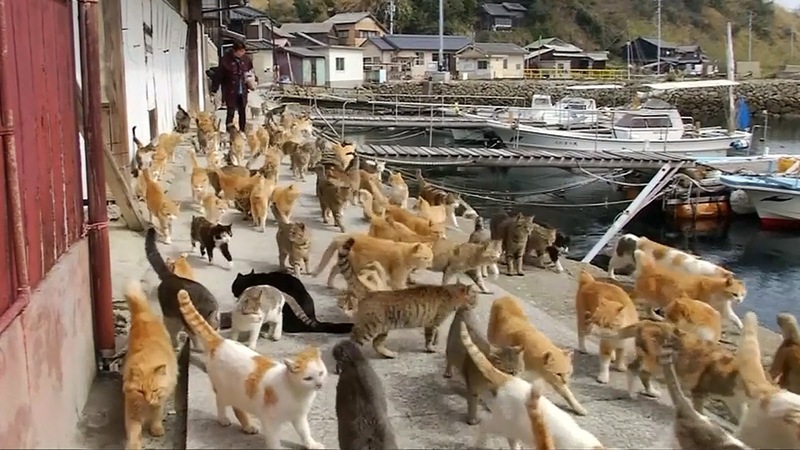 Aoshima, an island located in Japan's Ehime prefecture, is home to more than 120 feral cats that outnumber the fishing village residents six to one. A few cats were originally introduced decades ago to keep down the mouse population on the fishing boats, and things have since gotten adorably out of control. Outsiders are allowed to visit, but the island isn't really geared for tourism. 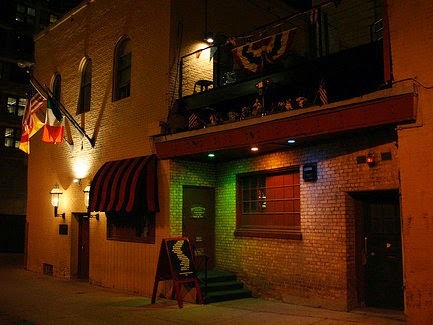 There are no restaurants, hotels, Uber cars or much of anything really, besides the undoubtedly rueful residents and the cats who run the place. On the plus side, there are definitely no mice here. Or cheezburgers, for that matter. 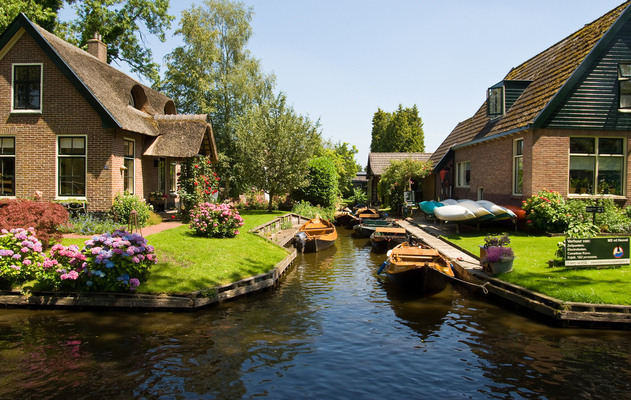 If you've ever been to the Netherlands, you know that biking is the preferred mode of transportation there. Look the wrong way while crossing the street, and you'll get mowed down by not one bike, but an entire fleet of bikes. I know because it almost happened to me. I also tried renting a bike while I was there, which proved to be an equally humiliating experience, as the Dutch are certified giants while I'm the size of a prepubescent girl. I was finally assigned a children's bike that was still too large, because it seems that even Dutch children of bike-riding age are taller than me. Given all this grief, the Dutch would have to come up with a pretty awesome attraction to lure me back to their country. Which they now have, dammit. 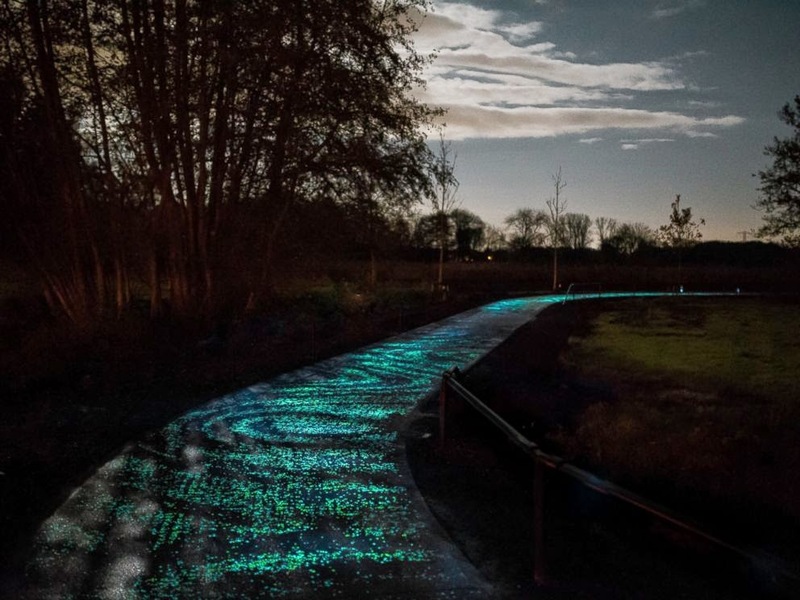 The world's first glow-in-the-dark bike path can be found in Eindhoven, and it features polished, solar-charged stones arranged in the same pattern as the stars in Van Gogh's "Starry Night." Artist Daan Roosegaarde designed the path as a tribute to Eindhoven's most famed resident, and you literally get to ride across a glowing, twinkling work of art. So, yeah. I'm going back to the Netherlands. But this time I'm bringing some platform shoes with me. Maybe you like the idea of rolling down a hill in a carefree manner, but you're fussy about grass stains. Or you've always wondered what it's like to be a hamster. Or you're just plain crazy. 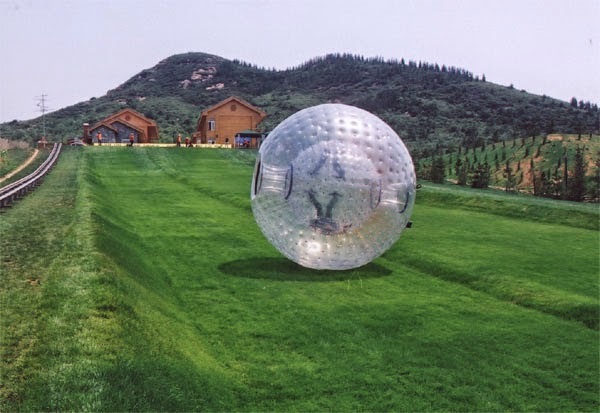 Whatever the reason, there exists an activity in Rotorua, New Zealand, called Zorbing, in which people pay good money to roll down a grassy hill in a giant plastic ball. Of course you can customize your hill-rolling adventure. Do you want to be strapped in or bouncing free? Would you like some water added into your ball so that you get splashed in the face while you're rolling? 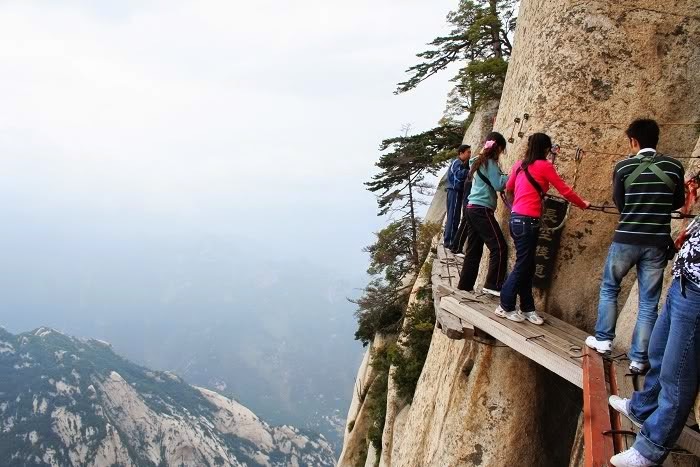 Perhaps you would like to tack on the adventure package, in which your ball switchbacks down the hill and does a vertical drop off the edge in the end. Whatever the case, remember to wear clothing that won't come loose and accidentally reveal anything. Because you'll want to be able to crawl out of your giant plastic ball with your dignity intact. Life's too short to spend at the community pool. 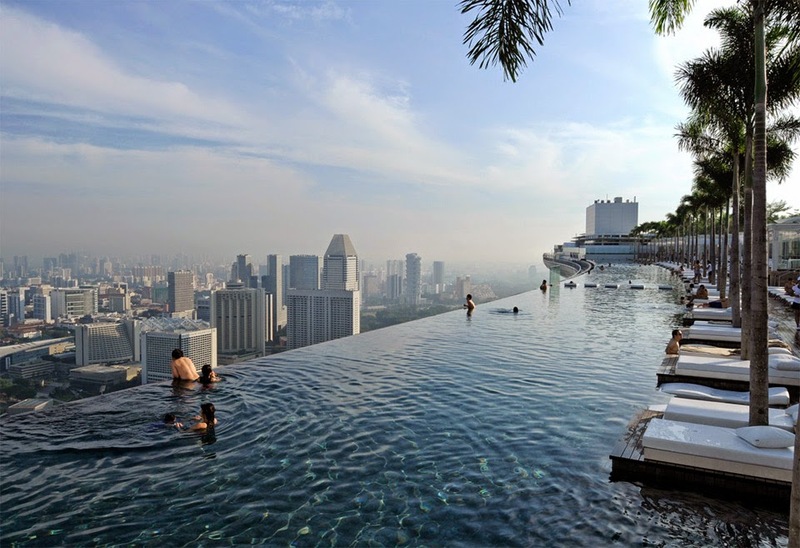 It's time to put down that membership card, pick up your passport, and fly to Singapore, where the world's highest and largest infinity pool exists at the top of the posh Marina Bay Sands hotel. Get some laps done while taking in a view of the city, 57 stories off the ground. 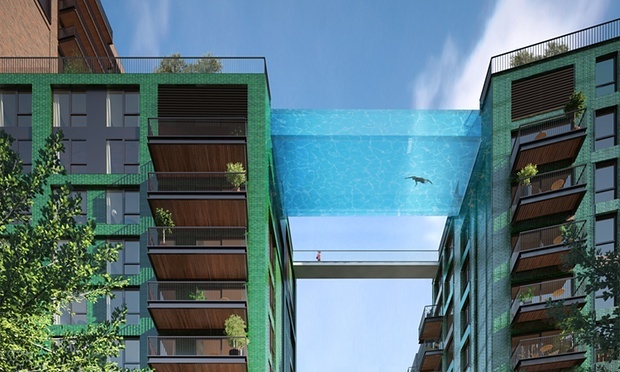 Make sure you check into the hotel first, though (it's only about $500 a night), as the SkyPark pool is open solely to guests. No one wants to see you getting carted off by the Singaporean police. If you think their punishment of people who chew gum is a tad severe, you don't want to know what they do to those they find splashing around illegally in luxury hotel pools. I hate ice. All it's ever done is make me look like a fool, as a pedestrian and as a skier. I won't even put it into my drinks. This has made for some pretty nasty strawberry daiquiris, but I'm nothing if not principled. 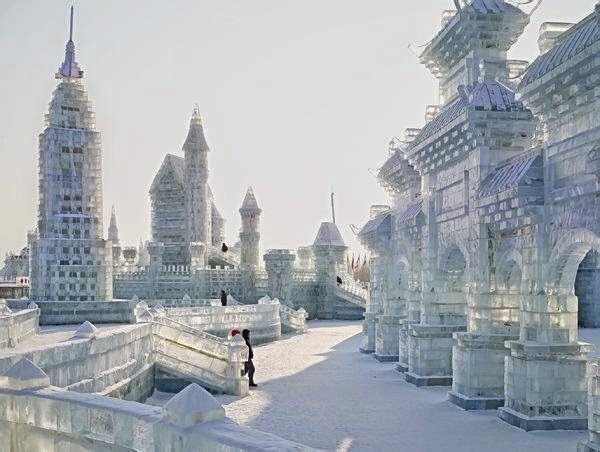 That's why I won't be visiting the Harbin Ice Festival in China any time soon, even though it looks CRAZY AWESOME. Every winter the town of Harbin (also home to a restaurant run by robots) builds an entire city out of ice, using blocks from the nearby Songhua River. 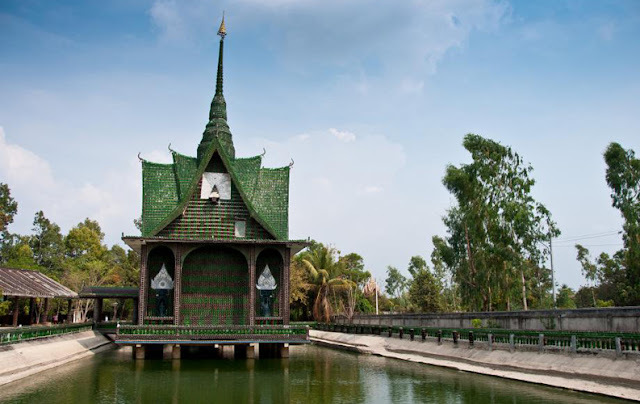 Architects from all over the world come to design the various buildings, monuments and sculptures. At night, the ice buildings are lit up in bright, glowing colors. As the event has grown over the years, other attractions for the public have been added, including rides like giant ice slides. Okay, as I type this, my hate for ice is starting to melt a little. I mean, it's one thing to give up ice in my drinks, another thing entirely to ignore the calling of a GIANT ICE SLIDE. ... Don't judge me. Wine snobs: You may have tasted all of the Bordeaux first-growths, visited every last winery in Napa Valley, and paired your last meal with a triple-digit-priced Cab ... but have you ever slept in a wine barrel? No? And you call yourself a connoisseur. Pfft. Now you can get a REAL sense of terroir - by checking into giant wooden wine barrels that have been converted into hotel rooms. 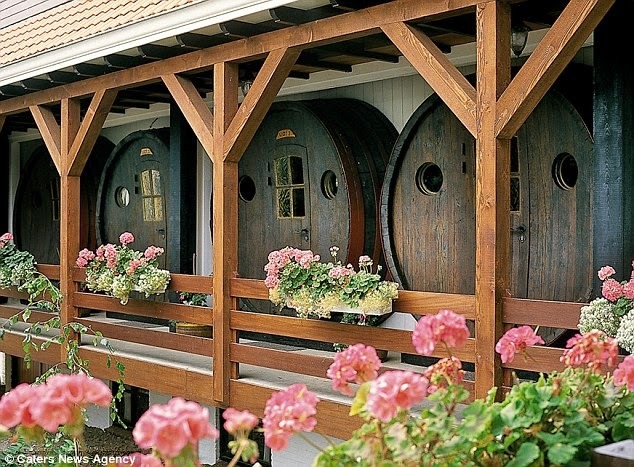 At the Hotel de Vrouwe Van Stavoren in the Netherlands, guests can sleep in one of four 15,000-liter capacity wine casks. The interiors have sadly been emptied of wine many vintages ago and now contain standard hotel-room furniture, but guests do receive a bottle of red upon check in. So if you consider yourself a true wine lover, you'll set down that glass of Château Frou-Frou and book a room tout de suite. Or you might as well admit that you're actually better suited for beer. Or maybe I'll just take multiple trips to what may be the coolest hot tubs in the world, the Pamukkale hot springs of Turkey. 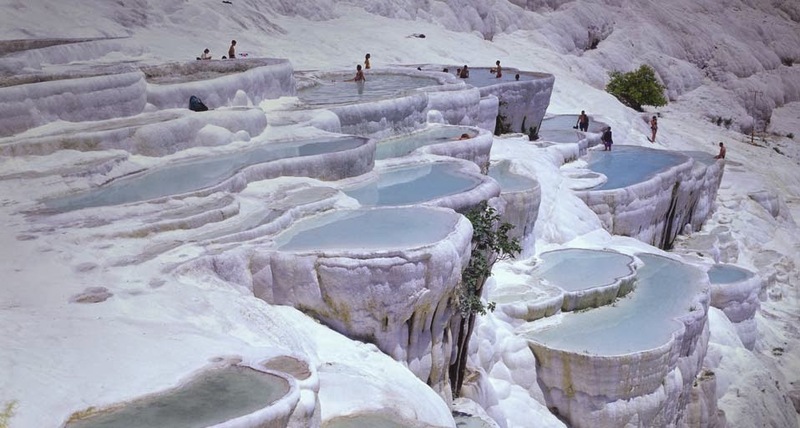 Part naturally occurring phenomenon, part Candy Land fantasy, these pools of geothermally heated water sit on terraces made of white travertine and resemble cotton bowls filled with water (pamukkale means "cotton castle" in Turkish). 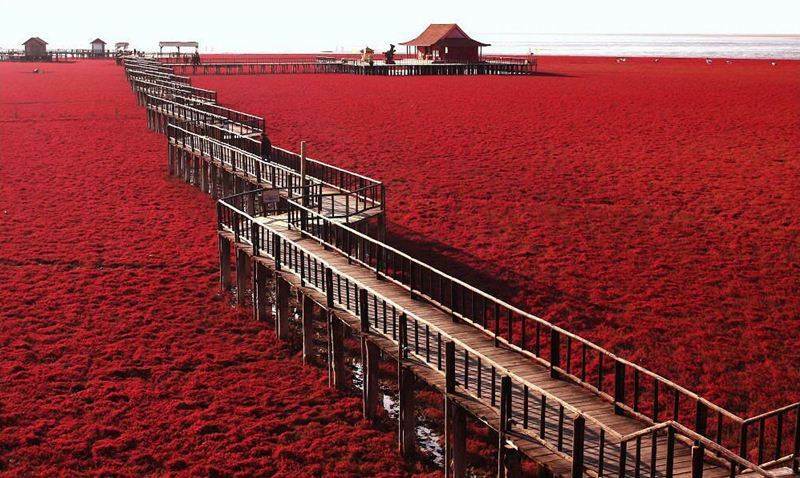 I didn't even know landscape like this existed on Earth - it almost looks like a scene out of Star Wars. I know. I'm picturing Ewoks splashing in the pools, too. When you're a kid, just about everything can be attributed to magic: Santa Claus, lightning, toilets. But by the time you become an adult, there's not a lot of magic left in the world. Well, that time I found a parking meter with 56 minutes left on it was pretty magical, but that's about the only example I can think of. See, it's a sad state of affairs. 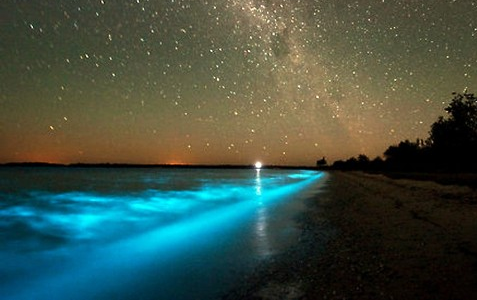 Which is why the bioluminescent bay in Vieques, Puerto Rico, is such a treat. It is a truly magical experience, no matter how old you are. You WILL squeal once you kayak through the bay in the dark, or jump into the waters for a swim. 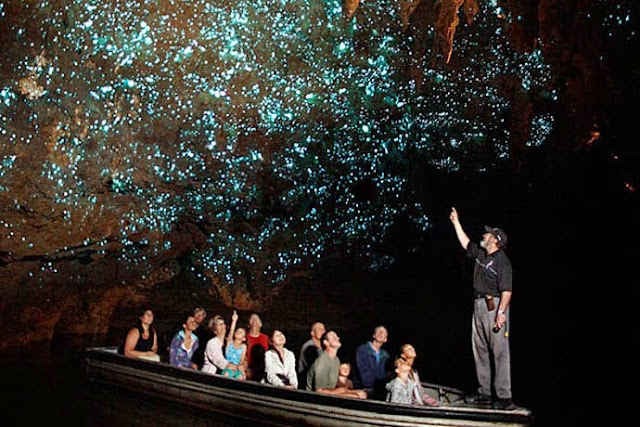 The water lights up in a mystical blue-green color every time you touch it. And if you scoop it up for a closer look, you'll see tiny silver sparkles twinkling like fairy dust in your hands. So what exactly is happening here? 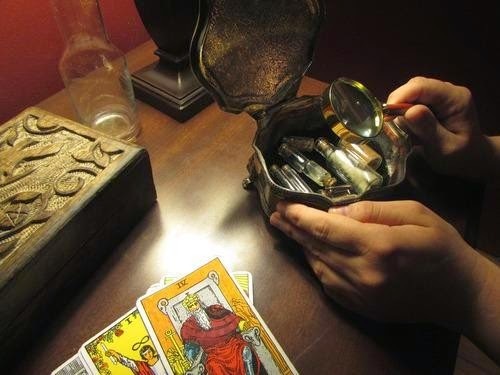 I told you, it's MAGIC! Well, magic plus the fact that the biobay is home to tiny, single-celled organisms that light up when agitated. I know. How cute is that? They're glowing because they're mad! And because there are 720,000 of these organisms PER GALLON of water in the Vieques biobay, a bluish glow emerges from the combined bursts of light. But sometimes science can be such a buzz-kill. I say just go. Maybe keep your mouth closed when you jump into the water, though.